You have K2. Is it ON? “ON” means you have solutions in use. Developers are productive. Users are getting more done in less time. Stakeholders are happy. Enterprise ROI is looking good. The business is asking for more K2 solutions. If you’re not quite there, Bytezoom can help. Bytezoom has a long list of happy K2 customers who have gotten their K2 ON! With K2 certifications and years of K2 experience, our consultants are good at making K2 work for you. We can provide developer training, mentoring, architecture design, K2 project estimating and planning, and solution development. We also provide a number of pre-built K2 extensions to save time, and advanced developer tools to increase productivity. 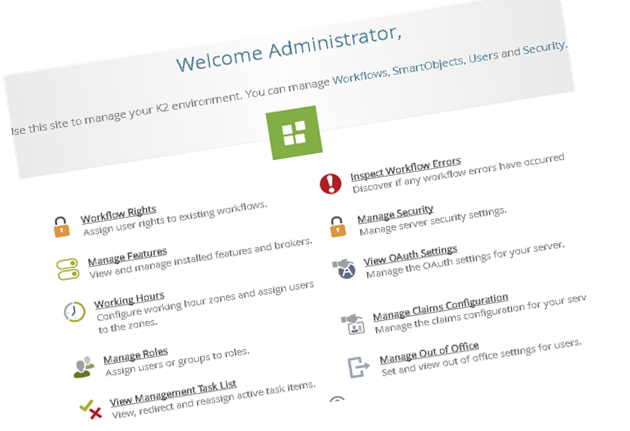 Let us put our K2 experience and deep understanding of K2 best practices to work for you. 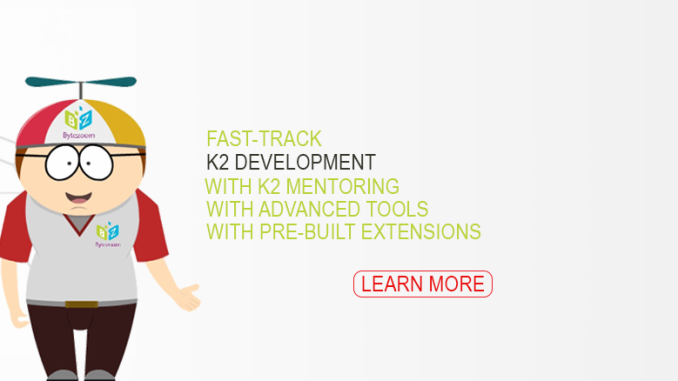 Bytezoom provides SmartK2 Rapid Development K2 training and mentoring both remotely and on-site in several ways. These include project mentoring where a Bytezoom resource and customer resources work side by side to develop a solution. The benefit to this approach is the many opportunities for discussing alternative approaches in the light of K2 best practices, and the sharing of tips, shortcuts, and time-saving techniques that go on to promote long term efficiency across multiple future projects. Another common variation is scheduled weekly sessions where your developers can get help on specific topics. For help with K2 development, Bytezoom provides K2 certified developers to assist with both on-site and remote project work. Such developers can function in a specific team role such as Solution Architect, Team Lead, .NET Developer, Workflow Developer, and Forms Designer, either as a subject matter expert, or as another “pair of hands.” For solutions that span LOB systems we can engineer custom integrations across SharePoint, SQL Server, Oracle, Salesforce.com, Exchange Server, Microsoft CRM, SAP, and proprietary systems. Bytezoom provides a number of developer productivity tools in its SmartForm Inspector application. SmartForm Inspector is an advanced tool set for SmartForm developers. It provides a faster way of viewing rules in a format that is easy to read and understand. With SmartForm Inspector, users can search rules for a specific parameter, property, SmartObject, or control. They can also change the SmartObjects used for lookup and as data sources. They can automatically generate easy-to-read portable documentation or output a form/view definition as XML to allow easy comparison and identification of differences across versions. You can download a free 30 day trial version of SmartForm Inspector here. You can license these extensions as compiled libraries with ongoing technical support. Use the Bytezoom contact page to request technical information and license cost. Do it right the first time with Bytezoom consulting!